Записи 1936-1984 гг. © «Мелодия» 1986. М30 46729-32 (2 пластинки). Серия: Музыкальный фольклор народов СССР. Антология. Составители А. Клотиньш и В. Вендорфо. Записи 1930-1985 гг. из фондов Академии Наук Латвийской ССР. 22 B7 Azaraga spele : ganu sasauksanas (Iecava) – Перекличка земгальских пастухов (Иецава) (0:59) Folkloras Draugu Kopa "Skandinieki"
This CD continued the LITHUANIAN TRADITIONAL MUSIC serie in an effort to acquaint the listener with lively functioning companies of Aukštaičiai and their repertories. 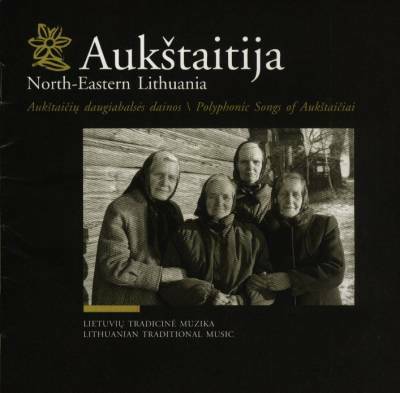 Exhaustive 30-page booklet in lithuanian and english describe the kinds of Aukštaičiai polyphonic songs, introduce performers. 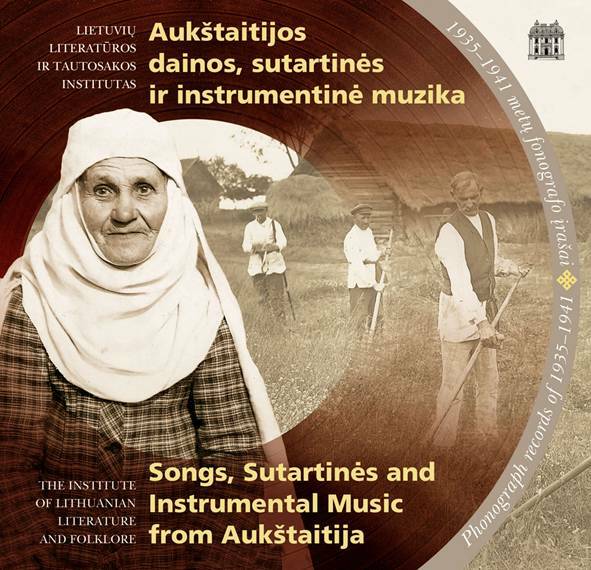 Songs, Sutartines and Instrumental Music from Aukštaitija. Phonograph records of 1935–1941. Edited by Austė Nakienė and Rūta Žarskienė. Sound restoration by Skirmantas Sasnauskas. 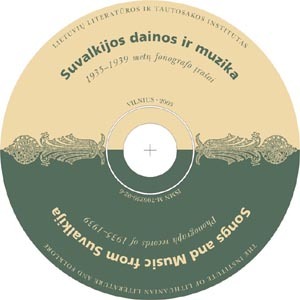 Two CDs provide traditional music of Aukštaitija recorded on the phonograph discs in 1935–1941. Aukštaitija region (North-eastern Lithuania) is famous for the music making of exceedingly high singularity. In this region polyphonic songs sutartinės containing a whole system of the elements of archaic musical and poetic expression were sung. Along with vocal polyphony, peculiar instrumental music existed which was blown on multi-pipe whistles skudučiai and wooden trumpets ragai. In the currently compiled collection the unique examples of the ancient polyphony are presented. On the phonograph discs the very last performances of singers of sutartinės and of old players on multi-pipe whistles and trumpets are documented (groups of singers form Biržai, Tatkūnai, Vidiškiai, Užulėnis, and Šimonys, as well as skudučiai players from Biržai, and ragai blowers from Vabalninkas). 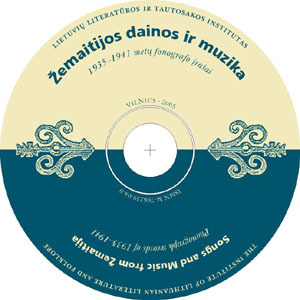 The publication also presents a few sutartinės played on five-string kanklės (zither type instrument) recorded from Jonas Plepas and Petras Lapienė. 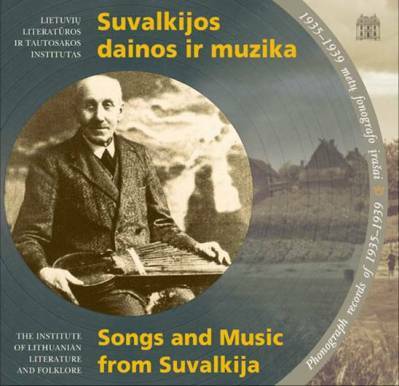 In addition to the ancient polyphony other styles of traditional music from Aukštatija have been included in the colection. Although multi-part style of singing was prevalent in this region, in the outskirts of the eastern part of Aukštaitija songs of various genres were performed in the monodic style. The publication provides a few of archaic ritual songs that are sung by the singer Marijona Kazlauskienė from Adutiškis. 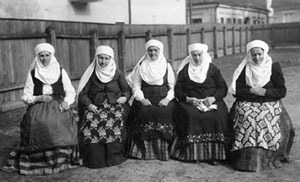 Particularly in this region the cimbolai (hammered dulcimer) found their spread, the tunes of polkas, waltzes and suktinis (Lithuanian folk dance) in octaves or monophonically were played on them. Quite a few available songs of shepherds also have been selected from the records, these songs are interrupted by musical instruments: lamzdelis ( longitudinal pipe ) and goat horn on which shepherds’ melodies are blown. Songs and instrumental music played at the most solemn parts at weddings distinguished themselves by the great diversity of styles. Traditional wedding songs of Aukštaitija were sung with the accompaniment of thirds (singers from Kupiškis, and Ukmergė). P olkas, waltzes and other dances were played by instrumental ensembles of various compositions (fiddlers from Biržai, musicians from Pyragiai, and musicians from Ukmergė). The playing of the fiddler Juozas Gudėnas from Švenčionys environs was put on records; he played the melodies of the dances that might have been ritual dances of earlier times. 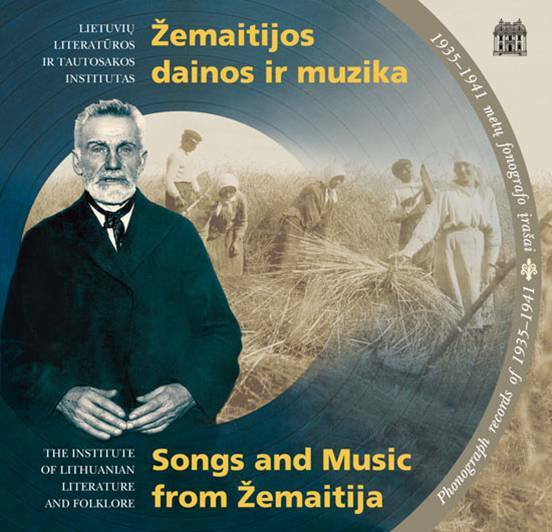 Songs and Music from Žemaitija . 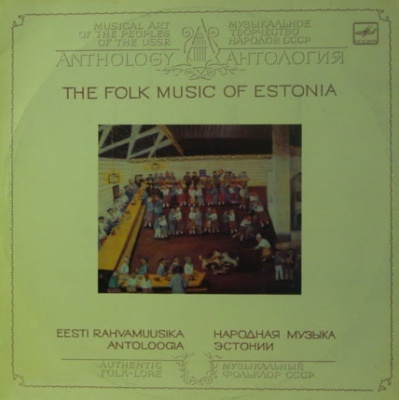 The CD is a serial publication of the restored phonograph records providing the listener with traditional music of various ethnographic regions in Lithuania . 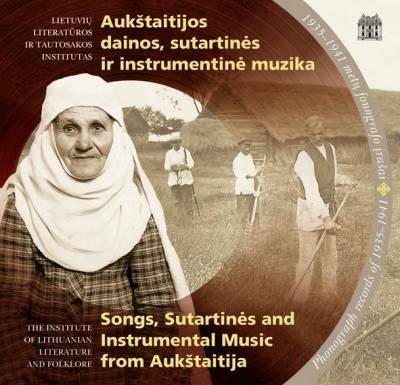 This publication presents compositions selected from the original records of the Lithuanian Folklore Archive made in 1935–1941. 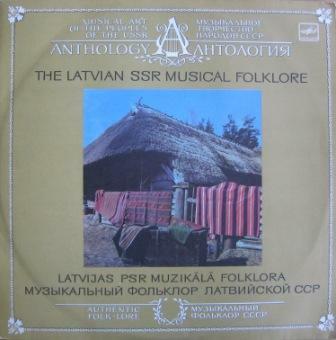 Folksongs from Žemaitija (Samogitia) resting on phonograph records were sung by Morta Katkienė, Antanina Karpienė, Antanina Ereminienė, Malvina Montvydienė, Akvelina Montvydaitė, Juozas Alejūnas, Jurgis Valauskas and others. Songs pertaining links with ancient trade – hunting and husbandry are probably the most archaic ones of this CD, they feature the archaic structure of the lyrics and melody. The ancient singing and its fabulous melody patterns are represented by Samogitian songs of haymaking. Poetic texts of haymaking songs are created on the spot by combining traditional stanzas with the newly created ones. Melody lines either come up or fall down, as the singers themselves have it, they swing. The CD presents a number of love, family, and wedding songs that were sung at wedding parties in the late 19 th and early 20 th century. Considering lyrical wedding songs, somewhat different is the song of giving gifts to the bride which was described in the famous nineteenth-century ethnographic collection “Wedding proceedings” by Antanas Juška. Several Christian hymns included in this selection reflect the 19 th century tradition of singing as well. Instrumental music presented in the publication provides a wide variety of genres and colours of timbre of different instruments. Here we have heard musical pieces performed on one of the most primitive musical instruments – birch bark, also pieces played on shepherds' old wind instruments: goat horn, cow horn, lamzdelis , reed-pipe as well as on kanklės (zither type instrument), and mandoline. Most musicians from Samogitia were masters at playing different instruments and good singers. For example, Mečislovas Virmauskas, who blew cow horn, was one of the most famous singers in his region. The inventive Vladas Šimkus imitated voices of birds both in birch bark and with his lips. Bonifacas Brazinskas blew a goat horn, a cow horn, played on different reed-pipes, and flutes. Stasys Abromavičius, a descendant of an outstanding family of musicians played not only on kanklės but also played the fiddle. His talent passed to his daughter Stasė who similarly performed on both those instruments. The CD presents a few dances recorded from Abromavičius family: Polka, Waltz, “Kryžiokas”, “Angelčikas”, “Šalabanas”. 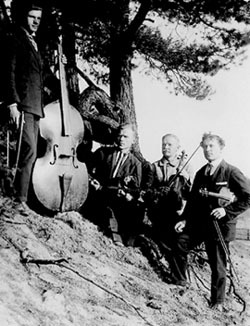 Mixed ensembles of different composition were popular in Samogitia, containing a fiddle, a diatonic accordion or bandonion and a bass or a drum. The capelle of the same composition of the Paalsiai village was invited to Lithuanian Folklore Archive. The orchestra consisting of a fiddle, concertina and contrabass executed several Polkas, “ Country March ” , “ Youth Waltz ” , and other pieces. Arranging this publication there was a whish to recreate the mood of entertainments, traditional weddings and works, therefore the records of songs and instrumental music were grouped so as to create an integral composition. 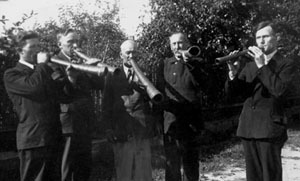 Musicians from Šaukėnai. Photographed by Balys Buračas 1933. 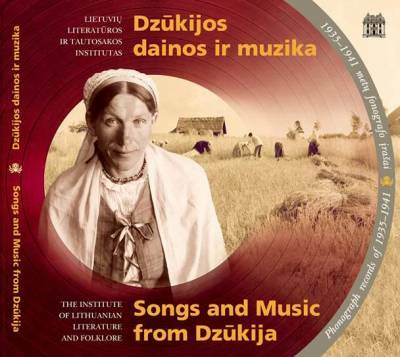 Songs and Music from Dzūkija. Edited by Austė Nakienė and Rūta Žarskienė. Sound restoration by Skirmantas Sasnauskas. Vilnius: Institute of Lithuanian Literature and Folklore, 2005. Sorry! Не хватает двух треков! This publication finishes a series of CDs, in which the records of traditional music from the four Lithuanian ethnographic regions have been presented. 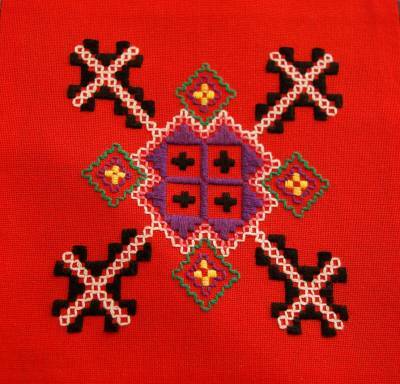 In Southern Lithuania – Dzūkija the olden way of life was observed up until the middle of the 20th century. In villages settled amongst the woods a cyclical understanding of time still existed. That is why the idea of the everlasting round of the calendar year was chosen for the composition of the CD. At the beginning of the CD melodies of calendar festivals and harvest time are presented, in the middle of the CD – wedding melodies and final melodies of the CD include songs, chants and laments that were performed at christening parties and funerals. Vocal tunes were accompanied by instrumental ones that sounded at the most important moments of the life of nature and of a human being. 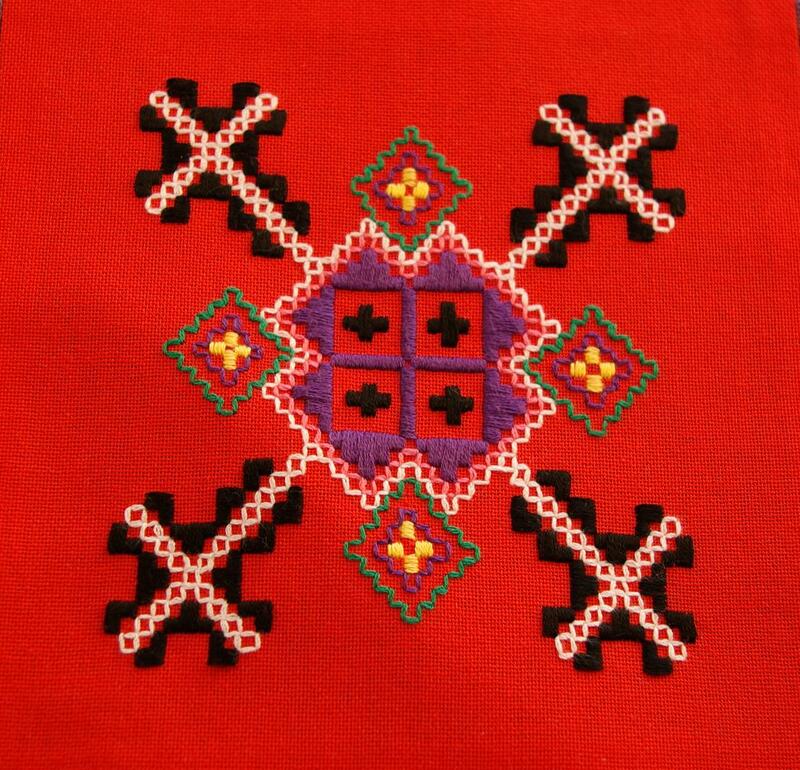 At the time of winter festivals the Advent songs were sung and wedding games were played in villages of Dzūkija. The choice of the bride was glorified in these games. Traditional Christmas songs were linked with the custom of visiting neighbours. In them the miracle of the winter solstice were depicted by using archaic symbols and solemn regards were told to the hosts. In a subtle way songs for the reaping of the rye were tuned to the rhythm of the nature. According to performers some melodies sounded in the field of the rye in the morning and in the middle of the day and ultimately different tunes – in the evening, at the sunset. Songs that sounded in the fields were performed in sonorous voices in order to be heard from for away. It is interesting that rye reaping songs were performed in loud voices at the Lithuanian Folklore Archive despite the fact that the recordings were made in the small premises. The singing style of region was monody. Melodies of Dzūkija distinguish themselves by their perfect linear expression, plastic melodic lines, various modes and melismas. Up to the World War I the fiddle took a part of the king at weddings, christenings and other festivals in Dzūkija. In ancient weddings every group whether that of a bride or a bridegroom had its own musician; when the groups got together the ensemble of the two or sometimes of the three fiddlers occurred. In the interwar period the fiddle was more and more pushed by modern musical instruments – guitar, dulcimer, German and later Russian accordion. Some melodies performed on the fiddle and recorded on phonograph disks show a scanty number of doubled notes, seldom a free string is touched. The similar style of performing could be traced in the compositions that are played on dulcimer: tunes are performed monodically or with thirds and quints. The young country musicians intending not to be out of time endeavoured to play on new musical instruments, their inventiveness was also expressed in the search for new performing styles. Therefore one can hear the dances played on bayan (Russian-style accordion) and the singing with accompaniment of fiddle in this CD. 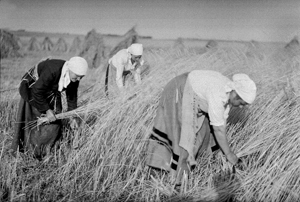 In the 4th decade of the 20th century the Lithuanian countryside became more and more modern. Educated people were concerned about the total extinction of folk art and began to organize the festivals called Ancient Days. The first Ancient Day took place in the town of Merkinė (1935). Some more festivals were organized in Alytus (1936), Daugai (1937) and Seirijai (1938). As a great attraction appeared the wedding party performance presented in Daugai. Regrettably, the performance of wedding recorded on the phonograph is of pure condition, therefore only a short part of the performance is selected. 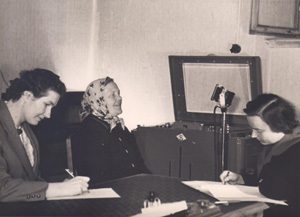 In the CD the recordings of Pranciška Blažauskienė, Ona Grigaliūnienė, Emilija Ivoškienė, Ona Pigagienė, Katrė Šilanskienė, Adomas Kamendulis, Juozas Krušna, Kostantas Lukoševičius, Balys Valenta, and others are presented. In the book „Songs and Music form Dzūkija“ texts, music sheets, photographs of performers, and artworks by Kazys Šimonis are published. Народные песни сету в исполнении хора Helmine из деревни Микитамяэ (Mikitamäe). 1. Kükiküla = Küki village. 2. 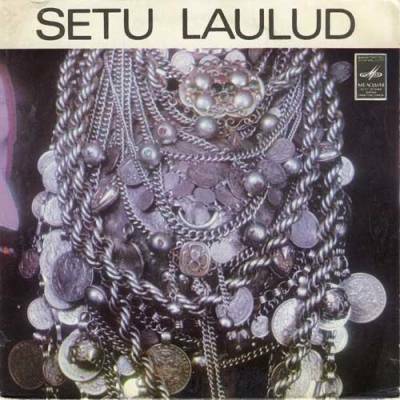 Kalapüüdmise laul = Fishing song. 3. Väikene mehekene = Little lad, tiny boy. 4. Vanaemakese laul = Granny's song. 5. Tareehitamise laul = House building song. 6. Kitselaul = Goat song. 7. Oma kodu kiitmise laul = Song praising one's own home. 8. Naisevõtmise laul = Wedding song. 9. 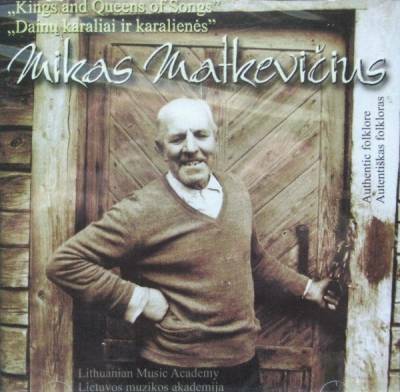 Karjaskäimise laul = Herding song. 10. Kohtumine vana mehega ja noore poisiga = Meeting an aged man and a young boy. 11. Ai vikur küll = Eh, those tricks! 12. Külapeale käimise laul = Courtship song. 13. Mõrsjaitk = Bride's lament. 14. Peolemineku laul = Party song. 15. Mineviku meenutamine = Recalling the past times. 16. Laul ema mälestuseks = Song in the memory of the mother. 17. Sõsar, hakkame laulma = Sister, let's start singing. 18. 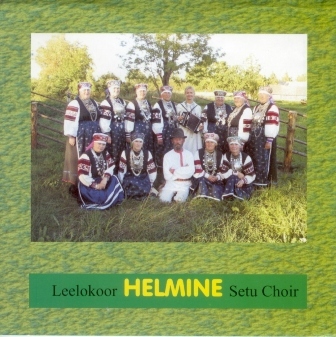 Helmine koori tulek = The coming of the Helmine choir. Сету — малочисленная финно-угорская этническая группа, проживающая в Печорском районе Псковской области (с 1920 по 1940 гг. — уезде Петсери Эстонской Республики) и прилегающих районах Эстонии (уезды Вырумаа и Пылвамаа), до 1920 года входивших в состав Псковской губернии. Историческая область проживания народа сету носит название Сетумаа. Точную численность сету установить трудно, так как данная этническая группа, не внесённая в списки народов, проживающих на территории России и Эстонии, подверглась сильной ассимиляции; примерная оценка численности — 10 тысяч человек, в России по переписи 2010 года к сету себя отнесли 214 человек (в 2002 году — 250 человек). В Эстонии сету официально не считаются национальным меньшинством, их язык считается частью выруского диалекта эстонского языка. При переписях населения сету обычно записывали себя эстонцами и русскими. Сету, в отличие от лютеран-эстонцев, являются православными. Сетуские песнопения (leelo), а именно сетуская многоголосая песенная традиция, внесены в список духовного культурного наследия ЮНЕСКО. Доказательством жизнеспособности сеутских песнопений является умение исполнителей импровизировать – когда сказительница-запевала (iistütlejä, sõnolinõ) может спеть о том, что происходит вокруг в данный момент. В рунных песнопениях других прибалтийско-финских народов хор одноголосый, в то время как сету поют на два голоса, а то и больше – самый высокий верхний голос называется killõ, а самый нижний – torrõ. Женщин, которые знают больше песен и обладают даром импровизации, называют Матерями песни. Сами сету выделяли три вида песен: старинные, «унаследованные с древних времен», сказочного содержания, очередные – песни, повторяющиеся из года в год - игровые, трудовые, обрядовые, и последний вид – песни суетные, «песни между прочим», они забываются «столь же быстро, как и возникают». Из музыкальных инструментов, особо почитается у сету каннель – прекрасный инструмент Иисуса. По преданию, его сделал Бог из можжевельника, и игра на нем способна отогнать смерть. Среди сету также было много сказителей, умеющих развертывать фабулу: здесь эстонские фольклористы записали самые длинные сказки. Чаще, чем у эстонцев, у сету в песнях и легендах присутствуют библейские персонажи (Так, святитель Николай лежит в самом «заповедном» сетуском приходе XIX в. – в Тайлово – и восстанет в час последней битвы. Богатырь Корнила после отсечения головы Иваном Грозным взял ее в руки, «пришел в монастырь и улегся спать» до тех пор, пока не начнется распря столь великая, что кровь хлынет через построенные им стены).